Experience StreamAnalytix through a live demo and Q&A session with our experts. StreamAnalytix is an enterprise grade, visual, big data analytics platform for unified streaming and batch data processing based on best-of-breed open source technologies. It supports the end-to-end functionality of data ingestion, enrichment, machine learning, action triggers, and visualization. 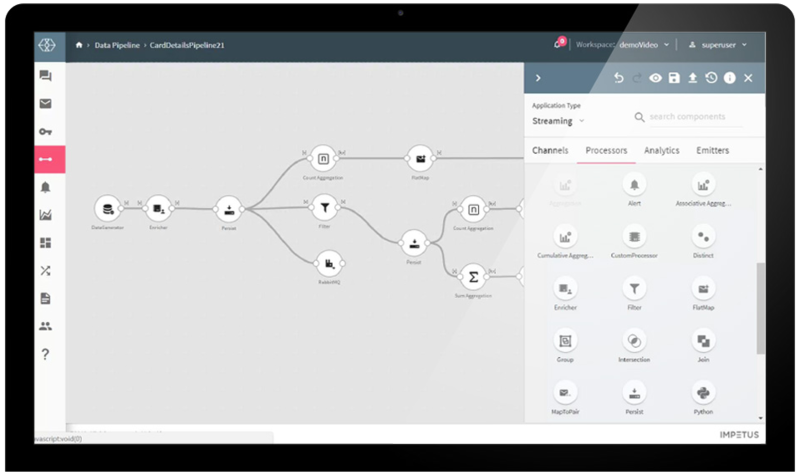 StreamAnalytix offers an intuitive drag-and-drop visual interface to build and operationalize big data applications five to ten times faster, across industries, data formats, and use cases.